Located only 300 metres from Nagyvrad Square metro station, and Npliget coach station. Hotel Fortuna Budapest is a comfortable base for exploring Budapest, offering excellent value for money. After a peaceful night in one of the quiet rooms you can start the day with a rich buffet breakfast offering wide selection of goods. Our 24-hour helpful and multilingual receptionists ready to help in organising your sightseeing tours though Budapest, transfers, reservations to restaurants or any kind of programmes. 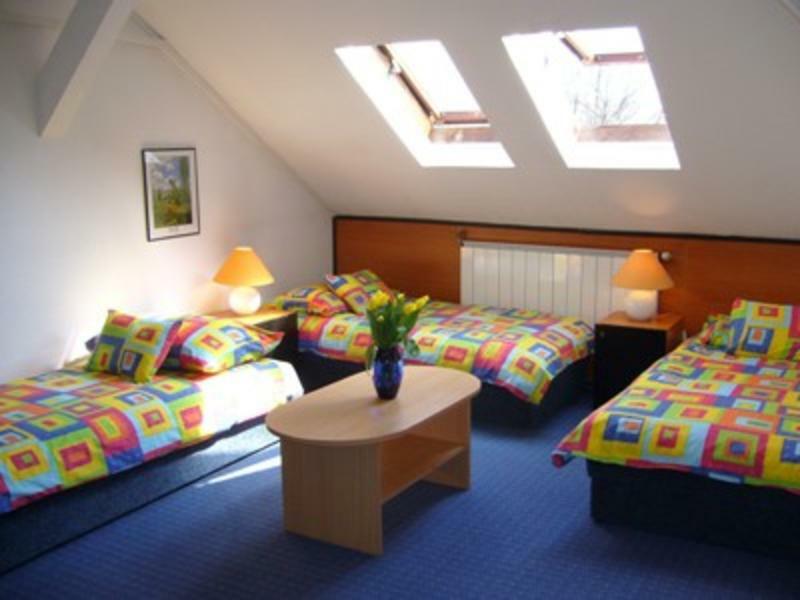 Hotel Fortuna Budapest has 30 rooms and we can accommodate 94 pax. Our rooms equipped with own bathroom, fridge, television, air conditioning and wifi. You can pay in our hotel by cash, bank transfer and credit card, too. Parking in the courtyard allowed: 7pm - 7am midweek, all day at weekends. Middweek days latest 7am all wehicles must leave. On-street parking is free of charge 7/24. Further services: loundry, internet point, central safe, hair drier, ironing, copy, print. You can choose from rooms of 1, 2, 3, or 4 beds as well as of 2 apartments with 4 beds. The apartments are equipped with their own kitchen and feature 2 rooms which makes them ideal for families. In the morning, our guests can enjoy a sumptuous buffet-breakfast in our separate breakfast room. After dark, the hotel's exclusive bar serves Hungarian and international drinks for those wishing to relax a little after a busy day of sightseeing. Hotel not adequate for disabled people and wheel chairs no rooms with special bathroom. Daily cleaning includes refreshing towels and bed linen, disposing garbages, topping up showergel and soap, dusting. Complet cleaning after every 3rd night. Extra cleaning could be arranged upon request for 10 EUR / occasion. Located between the airport and the city center near to Nagyvarad Square subway station on the blue line, only two stops from the centre of Budapest, one stop from the international bus station. From the international Eastern Railway Station take tram number 24 and you will reach Nagyvarad Square in 15 minutes.